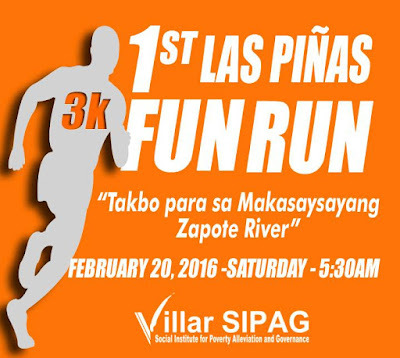 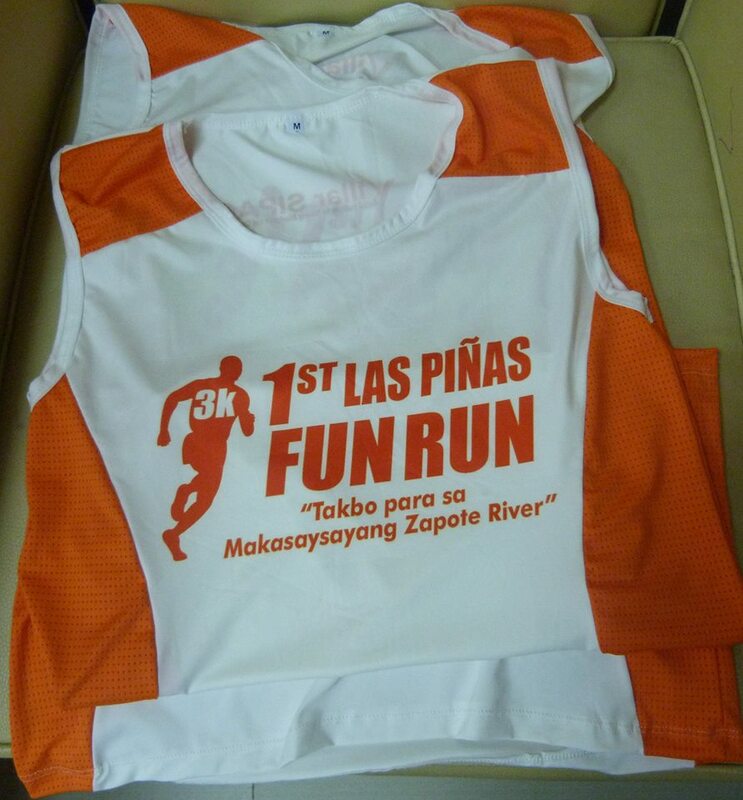 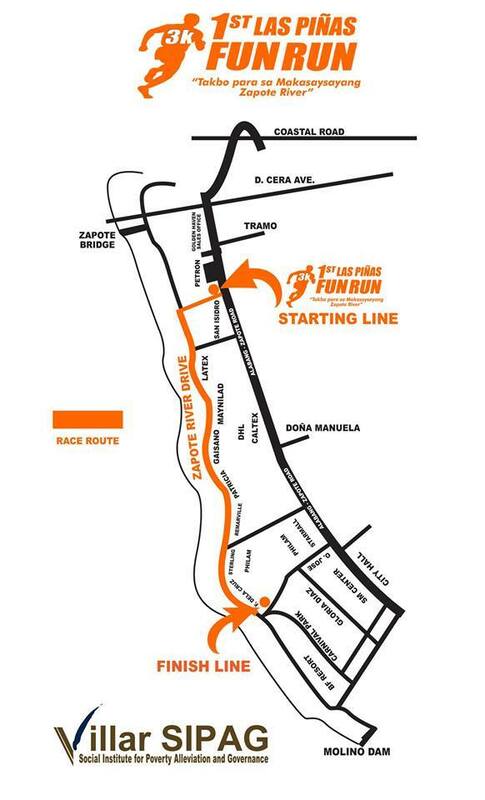 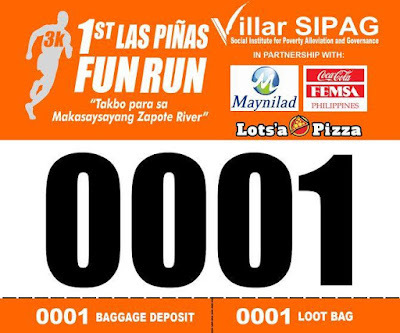 Villa SIPAG (Social Institute for Poverty Alleviation and Governance) hold the 1st-ever Las Piñas Fun Run on February 20, 2016 at ERN, San Isidro, Pamplona Uno, Las Piñas City. 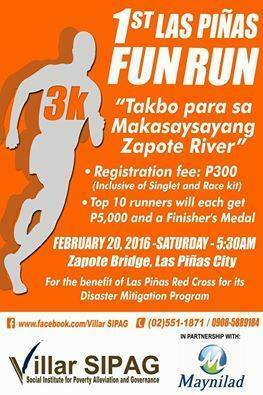 This project is for the historical Zapote River, and for the benefit of Las Piñas Red Cross for its Disaster Mitigation Program. 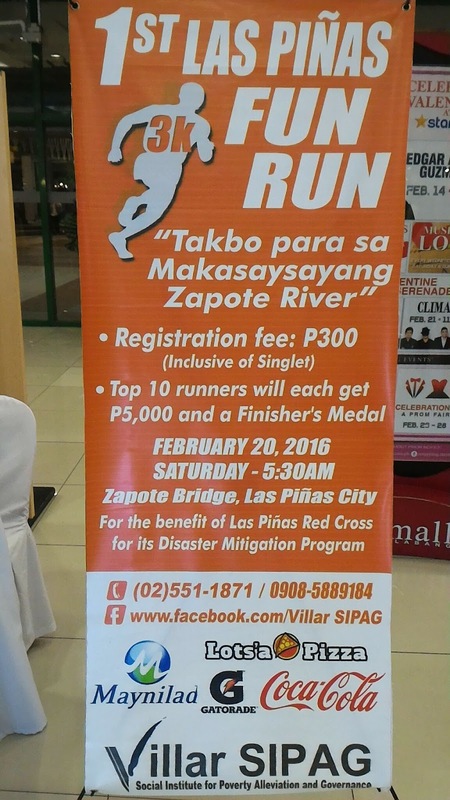 Note: There will be no on-site registration on Saturday, February 20.